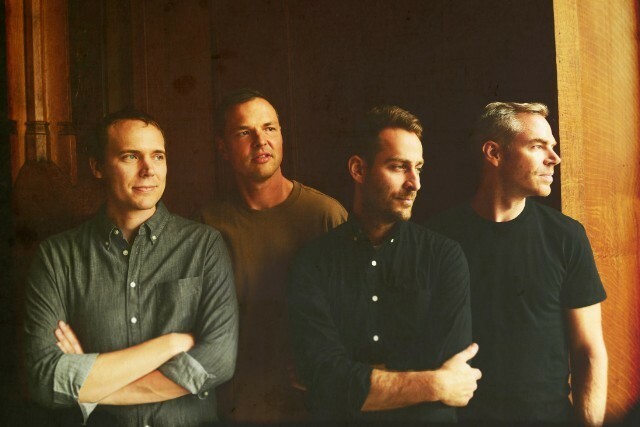 American Football have released their third self-titled album. Announced back in December, the band released their first single “Silhouettes” with word that the album would include guest features from Paramore’s Hayley Williams, Slowdive’s Rachel Goswell, and Land of Talk’s Elizabeth Powell. The band later released their Williams collaboration “Uncomfortably Numb” with a breathtaking music video featuring Workaholics star Blake Anderson, pro skater Paul Rodriguez, and Smhain drummer London May. “I used to struggle in my youth / Now I’m used to struggling for two / I have become uncomfortably numb,” Mike Kinsella sings, instantly reminiscent of his solo project Owen. In a recent interview with Rolling Stone, the band described the difficulty of returning to the limelight after the 15 long years of silence leading up to their self-titled sophomore album in 2016. “We’re not 23-year-old petulant kids now. We’re adults making concessions, and you appreciate what everyone is doing,” Mike Kinsella said. “If there’s something cool happening at the end, let’s ride it out. Let’s add a children’s choir, or vibraphones, or ringing bells. You can’t deny how long the songs are, but you’ll miss stuff if you turn it off.” That newfound attention to detail appears to have paid off on their latest LP. Check it out below and read our review of the album here.